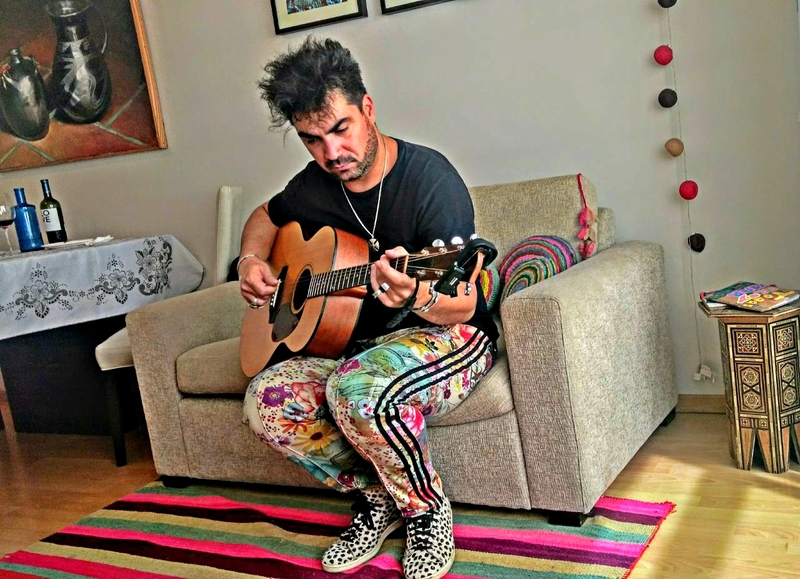 Jorge is a professional musician who is quite popular and recognized in Chile. He learned cooking from his grandmother, who cooked for the whole family. You can expect an authentic, fresh, and delicious meal at Jorge’s home while sharing stories, food - and of course music! In-home meal: (2-4 guests) Jorge will welcome you with a warm smile and some lovely music playing in the background - Jorge has a collection of more than 1000 vinilos! Jorge is very passionate about cooking and can make a wide variety of traditional Chilean dishes with a modern touch. A few dishes that you might enjoy are palta reina with tuna (tuna-stuffed avocado), fresh bruschetta with Chilean mussels, charquicán (a stew), pastel de papas (a classic dish made in Chilean homes, not always found in restaurants, that is something close to a shepherd’s pie). End your meal with some papayas and cream served with Colombian coffee. Cooking experience: (2-4 guests) Jorge offers a hands-on experience, where you will get to cook along with him in his home kitchen. His kitchen is a modest kitchen, so you might use the dining area for demonstrations and to prep the ingredients for your meal. The cooking portion of the experience will last approximately 1 hour, during which you will learn to make an appetizer and a dessert. Market visit: (2-4 guests) Meet Jorge at his home and then drive to the local market in his car. You will either visit La Vega Market or a fair in the neighborhood of Ñuñoa, depending on the day you book the experience. Jorge will give you a tour of this local market and you may even buy fresh ingredients to use in your cooking class later. ​​We felt incredibly welcomed, and had a great time sharing stories, food, drinks, and music! Thank you very much for inviting us into your home! We enjoyed all of the food, and the best pisco sours of our trip! Most of all we enjoyed meeting you both, sharing a meal, music, and conversation. As a guest, we pulled up in an Uber to a nice residential neighborhood. Mariela greeted us at the door to a welcoming apartment with records playing in the living room. Jorge then offered us the best pisco sour of our trip! The table was set, but we spent the next 30-40 minutes in the kitchen watching Jorge cook. We then enjoyed bruschetta of pan amasado with tomato sauce and spicy choritos (and drank more pisco sours!). Soon we sat, opened a nice Chilean wine, and ate an amazing, fresh, Palta Reina with tuna. Then came the main course, a delicious and homey Pastel de papas. Afterwards Jorge offered us papayas with cream for dessert accompanied by a coffee and Limoncello. Feeling incredibly full and happy, Jorge showed us his home studio, and played some instruments for us and our son, Otto, who was mesmerized! The menu might change, as Jorge has a lot of amazing recipes he's passionate about cooking, but the experience is sure to be an incredible one that will be the highlight of any trip. The food was great, the hosts were warm and welcoming, and it was clear the hosts put a lot of thought and care into the experience. It was a 10/10 experience for us!